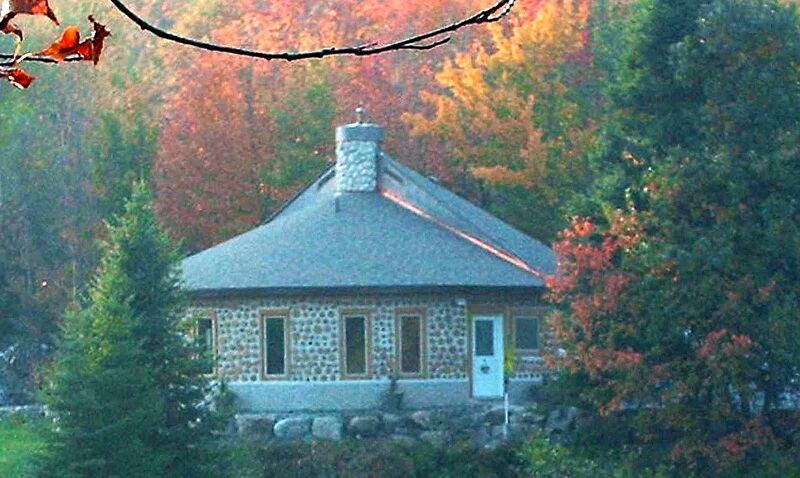 Cordstead in Quebec is the creation of Sandy Clidaras. 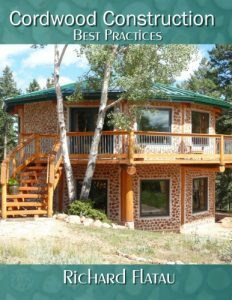 Built in a zoned/coded lake district, Sandy built his home with a best practices approach. 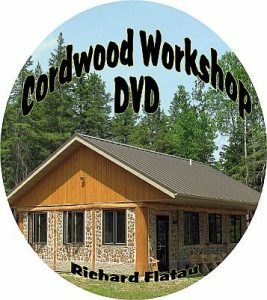 You can see why the neighbors love the “look” of this cordwood homestead. 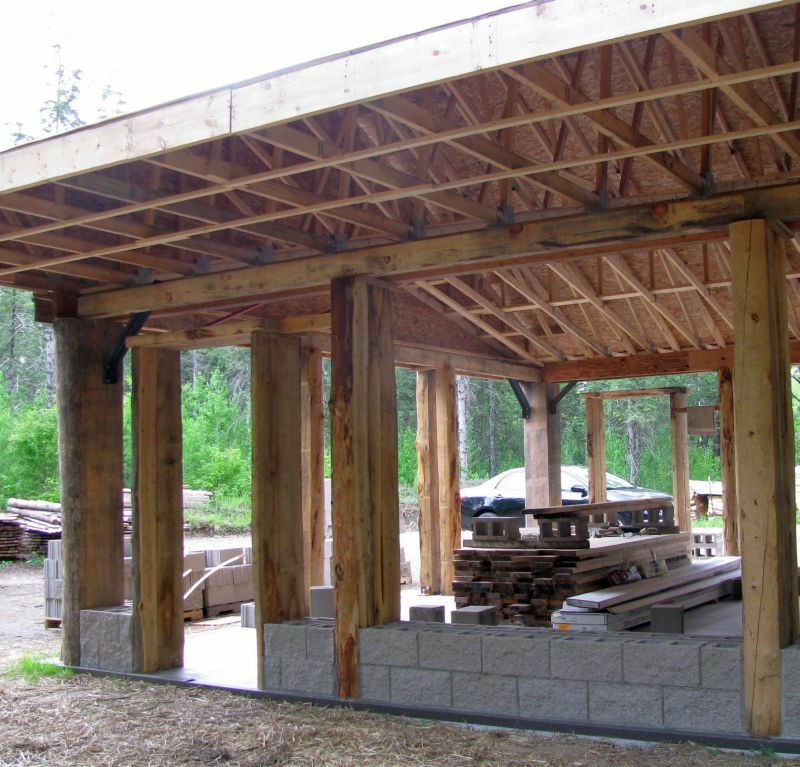 My goal is to show what can be done with this old fashioned, labor intensive, natural building style. 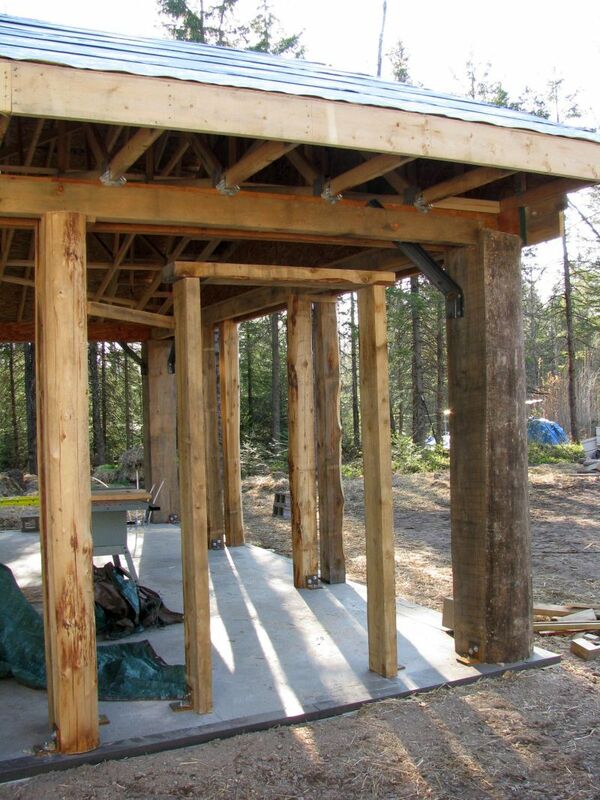 Door framing with 3″ x 8″s bolted to the slab. Note the side braces from the frame to the adjacent post. 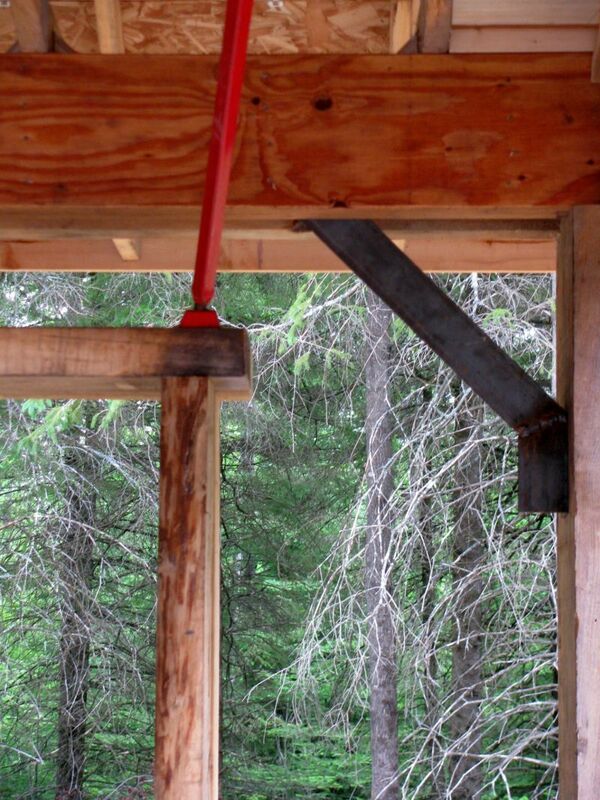 These adjustable brackets (long red threaded rods) are especially handy for tweaking the door frame to level and plumb.